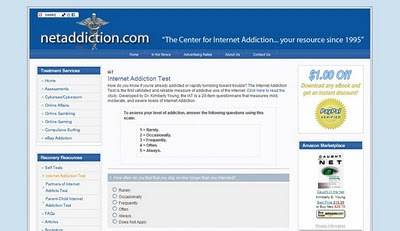 This week, Surfin' discovers what it takes to have an Internet addiction. By the way, "Astor Paradise Suites" (aka Hilton Garden Inn) did not repair their Internet access during my stay and I will never stay there again. I am not on the internet all the time, but at a computer, sure. On the radio, not enough. How does that fit with your obessession?